Camonghne Felix, M.A. is a poet, political strategist, media junkie and cultural worker. She received an M.A. in Arts Politics from NYU, an MFA from Bard College, and has received Fellowships from Cave Canem, Callaloo and Poets House. The 2012 Pushcart Prize nominee is the author of the chapbook Yolk, and was recently listed by Black Youth Project as a “Black Girl From the Future You Should Know.” Her first full-length collection of poems, Build Yourself a Boat, was a 2017 University of Wisconsin Press Brittingham & Pollak Prize finalist, a 2017 Fordham University Poets Out Loud semi-finalist, and is forthcoming from Haymarket Books in 2019. 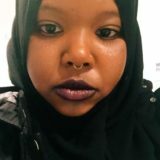 Kameelah Janan Rasheed is a Brooklyn-based interdisciplinary artist, writer, and former high school public school teacher from East Palo Alto, CA. She is on the faculty of the MFA Fine Arts program at the School of Visual Arts and also works full-time as a social studies curriculum developer for New York public schools. 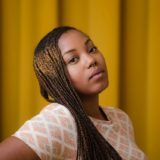 She has exhibited her work at the 2017 Venice Biennale, ICA-Philadelphia (forthcoming), Printed Matter (forthcoming), Jack Shainman Gallery, Studio Museum in Harlem, Bronx Museum, Queens Museum, Schomburg Center for Research in Black Culture, Project Row Houses, the Luminary, Brooklyn Academy of Music, among others. Recently shortlisted for the Future Generation Art Prize, she is the recipient of several other awards and honors including the Harpo Foundation Grant, Magnum Foundation Grant, Creative Exchange Lab at the Portland Institute of Contemporary Art Residency, Triple Canopy Commission at New York Public Library Labs, Artadia Grant, Art Matters Grant, Rema Hort Mann Foundation Grant, among others. She has participated in readings and performances at Housing Works, Cave Canem, and Red Bull Arts New York, among others. The Poetry Project’s programs are supported, in part, by public funds by The National Endowment for the Arts, the New York State Council on the Arts, and the New York City Department of Cultural Affairs.